Quick Disconnect - Female to 9/16 Male thread. LP hose side of BOV QD. 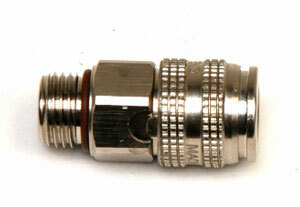 Attaches to LP regulator hose. Sealed when not plugged in. Add it to your bailout/deco bottles for easy switching.